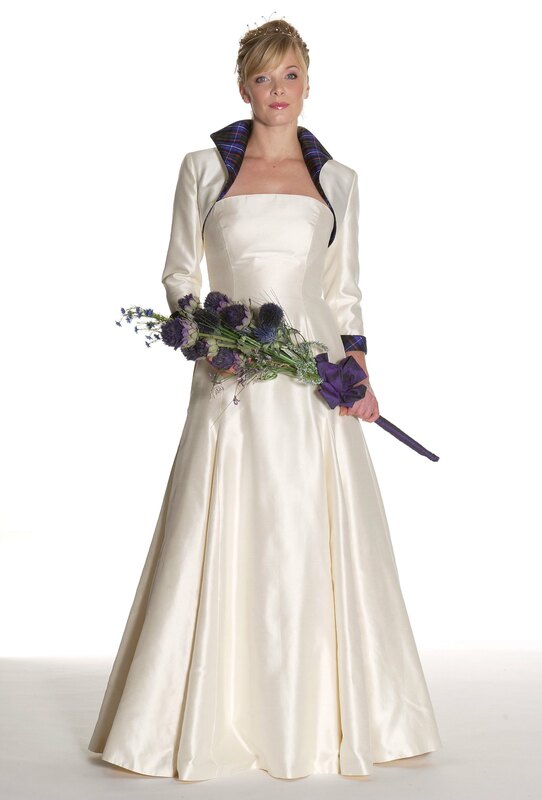 Eriskay is a stunning Tartan Wedding Dress made in Ivory Italian Silk with Silk Tartan Contrast. Made to measure in your choice of colour and available silk tartans. All our Tartan Spirit Collection of Couture Wedding dresses designed by Joyce Young are individually made to measure in a wide range of styles, colours and fabrics and are sold exclusively from our shops in London and Glasgow.